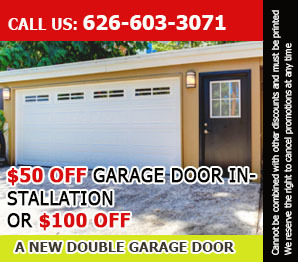 If you want to get new garage doors, you definitely have questions. Do I need a backup battery for my opener? Using a backup battery can be a good idea in several cases, according to the specialists in garage door repair Covina. This is recommended if power outages are common in your neighborhood. This is certainly a wise thing to do if you or a member of the family who uses the garage is unable to lift the door manually. Generally, a backup battery can save you time and effort in case of an outage. How do I troubleshoot an opener light? The first thing to do is to check the bulb and tighten it or replace it, if required. If this does not work to resolve the issue, you should disconnect the garage door opener from the electrical socket and keep it like that for about ten minutes to reset the circuit board. If this does not help, there may be a problem with the socket or with the circuit board and repair will be required. Garage doors typically have a recommended number of years for maximum usage. If you reach this maximum period and the overall system still works, it is still recommended to replace the whole thing since it may become a potential danger. Something is bound to break in the long run. How do I install safety cables? The safety cables are installed in extension garage door springs. They must be attached on the one side and then must pass through the spring and be attached on the other side as well. If you have a hard time doing it, call Garage Door Repair Covina. Should I get a one-piece garage door or a sectional one? Sectional garage doors are easier to handle and if one of the panels is damaged, it can be easily replaced. They also move faster than one-piece doors, their speed can be readjusted by you and they occupy less space. One-piece doors are made to move at the lowest possible speed and are not as functional.